This past summer, Bigger Boat started our partnership with Washington Green Schools. WAGS is an organization that helps Washington schools form collaborative groups to make the school more energy efficient, environmentally friendly, and a healthier place to learn. With over 400 participating schools, WAGS impacts the day-to-day learning environment of 78,000 students across the state. Our previous data collection system was clunky, outdated, and imperfect. Bigger Boat changed all of that with our Salesforce implementation project. Thanks to Bigger Boat, our staff is spending less time troubleshooting issues and more time collecting, analyzing, and putting to use meaningful data. It’s allowed us to grow as an organization and widen our staff capacity. WAGS is working hard to expand their program to all 3,000 schools in Washington state, and their existing processes just couldn’t sustain the growth they were already seeing. There was lots of data tracked in Excel spreadsheets, and manual processes to scan documents and type in responses. When they came to us, they were unable to report on data across different schools. They also couldn’t easily display the data they wanted on their website even though their database was directly integrated into their website. The user experience for teachers was confusing and difficult. It wasn’t a pretty scene. 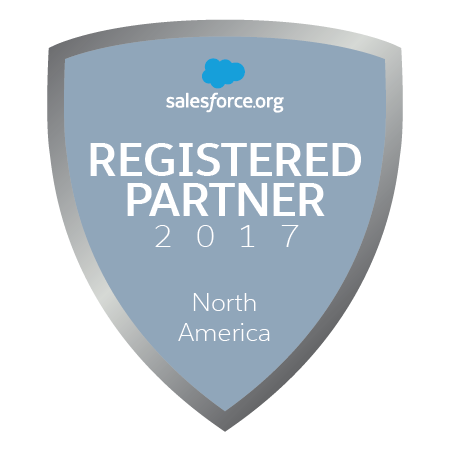 WAGS approached us with an all-star Project Lead and Salesforce Admin-to-be, strong support from an executive sponsor, and a big idea. They wanted to ditch their inflexible custom website/database, and were ready to try something new. Working with the team at WAGS as well as their new web designer, we developed a flexible component-based architecture. By using existing products wherever we could, we were able to keep our “build” hours down and really deliver a lean solution that does what they needed. Here’s how the system works now. When a school group wants to join WAGS as a “Green Team”, they go to the WAGS website to express their interest and get a “Getting Started” package. Using a few FormAssembly forms, we were able to create sign-up forms that look like their website, feed this form data right back to Salesforce, and redirect the teacher right to a private section of the WAGS website with the resources they needed to get started. When an existing school comes back to the site, the form is pre-filled with whatever the system already knows about them. WAGS helps schools track their progress with report cards on their energy use, efficiency improvements, and team activities. 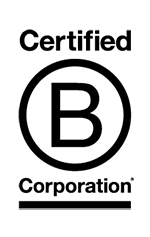 There was some data from Salesforce (and their old database) that would have been a LOT of work to integrate into their website or into FormAssembly, so in order to show schools their past Green Report Cards, we built a Force.com public website. Picking the right tool for the job saved money and time, allowing them to roll out their new website and database one part at a time. 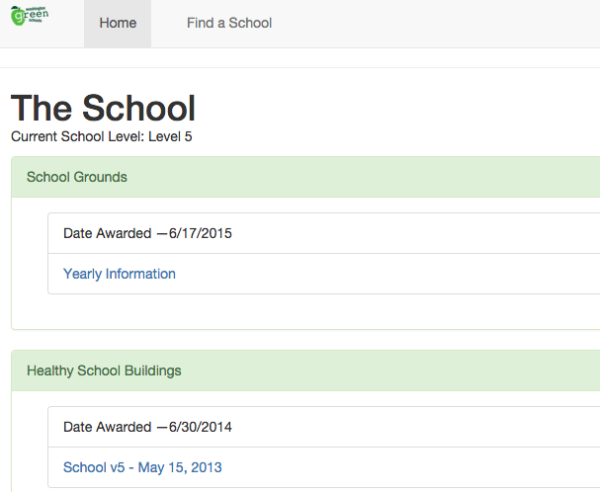 Moving forward, schools are entering their Green Report Card data into FormAssembly forms. In order to keep costs low and make sure WAGS had strong ownership of their database, we developed two report card forms, and the rest were built and tested by the WAGS staff. Through regular coaching sessions, we were able to teach their admin everything she needed to know to create report cards and use FormAssembly to its fullest. This ensures that if their program changes or they want to track different information, they won’t have to hire a consultant to fix up their forms. WAGS also hired a Tableau developer to build a neat visualization of what schools they serve. This map is embedded in their website, and pulls data from Salesforce on a regular basis. Instead of building this in their web platform, by using Tableau they were able to get a high quality and flexible visualization with donated software. Salesforce data of participating schools, mapped using Tableau on their website. On the front page of the WAGS website, they proudly display the number of schools they serve and participating students. This number is hugely important to them, so we wanted to make sure it was up to date, and didn’t require a manual process every time a new school signed up. Bigger Boat developed a simple REST API for the web developer to consume, so that they didn’t need to do any crazy Salesforce integration work, they could just load up a URL and get back the right number of schools. This integrated component approach, combined with the solid foundations of the Nonprofit Starter Pack on the Salesforce platform, empowered WAGS to do a LOT for not a lot of money, and come out with a lean and successful new CRM. Their Admin-to-be became a full-fledged Admin with the support of our coaching process, and she’s writing new reports and creating workflow automation every day.